Health is a state of physical, mental and social well being and not merely the absence of diseases. Health is our True wealth, which most of us choose to ignore it. But with the environmental changes, it's an alarm to look into it now. As with pollution increasing, which is doing bad to our body, we need to correct our health, in ways of our lifestyle, our eating etc. "Health" is a broad term which can be affected by various factors which include any medical condition, lifestyle, erratic eating patterns, or affected by an environmental pollutant, poisonous gases etc. Any kind of pollution eg. Soil, water, air pollution can directly or indirectly affect the health status of an individual. Pollution created in any form is usually man made and can be categorised as indoor and outdoor pollution. Inefficient cooking or heating practice can lead to air pollution or unhygienic cooking practices along with incorrect storage and packaging technique can also lead to indoor air pollution. Hence, here comes the time when we need to #BringCleanAirBackHome with the best air purifier in India. Health is of paramount importance to us.we should not ignore our health. There is a beautiful saying "Good health is above all wealth" Which clearly states that we should really pamper our body. In this fast pace of life, we keep on ignoring our health. Junk food, no time for exercise, no meditation and pollution takes a toll on our body. India to breathe easy, HICARE brings best in class HEPASilent Filtration with Swedish giant ‘Blueair Purifier’. 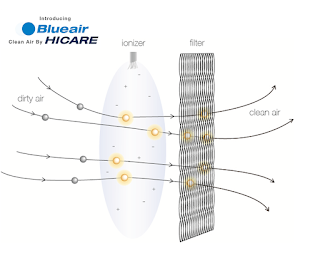 Blueair purifier can go a long way towards helping you breathe healthy. The usage of Air Purifier is increasing, due to awareness of the environmental health hazards. The air quality outdoor varies and depends on things such as emissions from industries and traffic exhaust etc. But indoor air can be 2 to 5 times and sometimes up to 100 times more polluted than the air outside. Indoor air pollution is among the top five environmental health risks recognized globally. 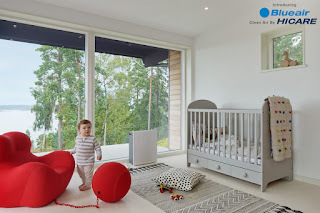 Blueair is internationally recognized as the leader for air purifiers due to its best in class performance and superior style. By breathing cleaner air, the World Health Organization states that you can reduce the risk of stroke, heart disease, lung cancer and respiratory diseases such as asthma. An air purifier from Blueair removes airborne particulate matter upto 0.3 microns PM 2.5 and deadly gases like SO2, NO2, O3 and VOC’s thereby greatly reducing the health associated with breathing poor quality indoor air. 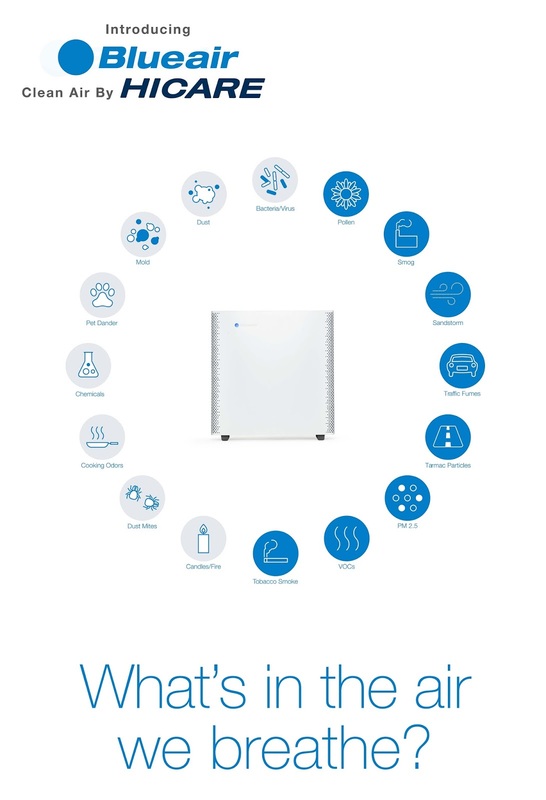 IQAir and Blueair have an efficient range of models to choose from. IQAir's HealthPro series is especially designed for asthmatics and those suffering from allergies. The MultiGas range is efficient in eliminating most odours and smoke. 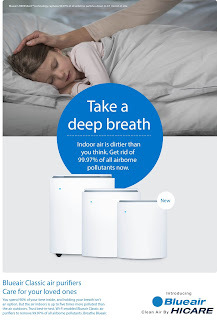 They even have whole-house purifiers. Blueair on the other hand, has some really efficient high-end models. 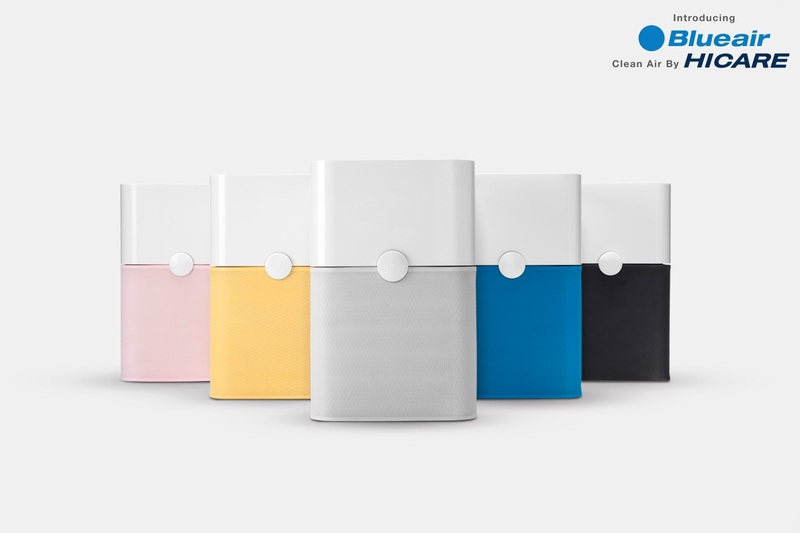 The Blueair purifiers have four variants : Blue pure211, Blueair Classic 280i, 480i, 680i models. Blueair Purifiers are available for booking and purchase from 8th Feb, 2017 on http://hicare.in/blueair-air-purifier and on calling this number – 3988-9988 with prices starting at Rs. 24,990/ onwards. These products are best in class, excellent value for money and very suitable for the discerning Indian home. Designed to fit your sense of style, the sleek Blueair unit fits seamlessly into any home or office.